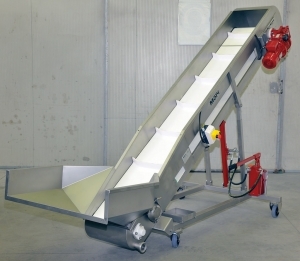 “S/S” belt elevator on wheels complete with hydraulic system to adjust the discharging height and mechanical variable speed (models 2500 / 3000 / 3500 / 4000). 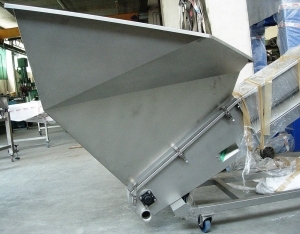 Electric control box to control production rate. 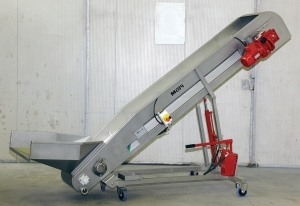 Bin hoppers available to accommodate berry loading using macrobins with rotatable forklift head.